When looking for a new piece of furniture to deck out your garden with, it’s not easy. 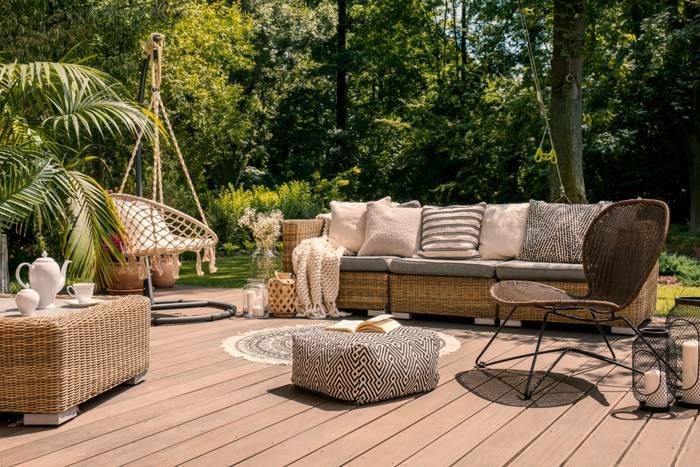 Whether it be low maintenance materials, such as classic wood, popular metal or traditional rattan, the options are endless. But it is important to consider what kind of style you would prefer and what kind of material would suit you best, to ensure you are getting the most for your money – materials are particularly important if you wish to purchase maintenance free garden furniture. 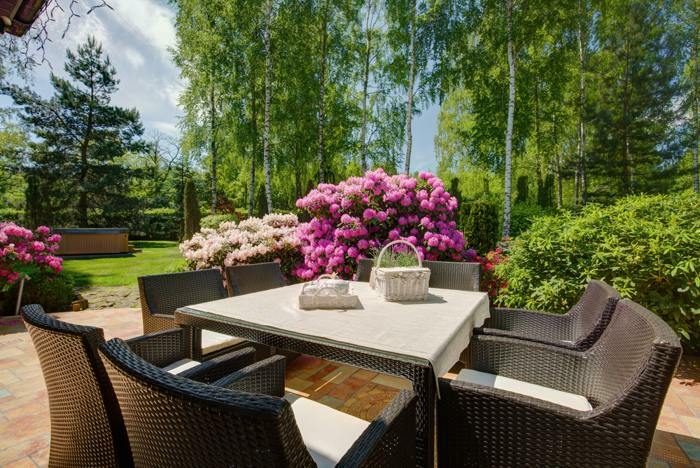 It’s true that garden furniture can significantly help to update your garden and instantly create a more inviting space, so it is important to take time to find ‘The One’. Whether you opt for a chair and table set, a bench or loungers, there are so many options on the market to suit your style and needs; whatever your budget, there is something out there for everyone. Although, bear in mind that solid wood and metal garden furniture sets can be expensive. Therefore, it may be worth waiting and saving up to ensure you are getting the most for your money. • How will you use your furniture? • How many people will you be catering for? • What is your budget? (Tip: Solid wood and metal garden furniture can be expensive, aluminium sets generally cost less). • What style do you want? • How much space do you have? 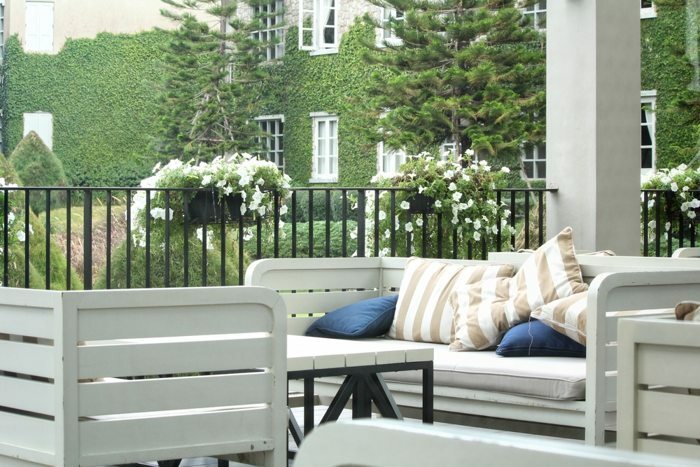 For example, if you have a small patio space, a small two-seater set is perfect for relaxing and sun-bathing. If you have slightly more garden space, table and chair sets are great for hosting parties under the summer sun. 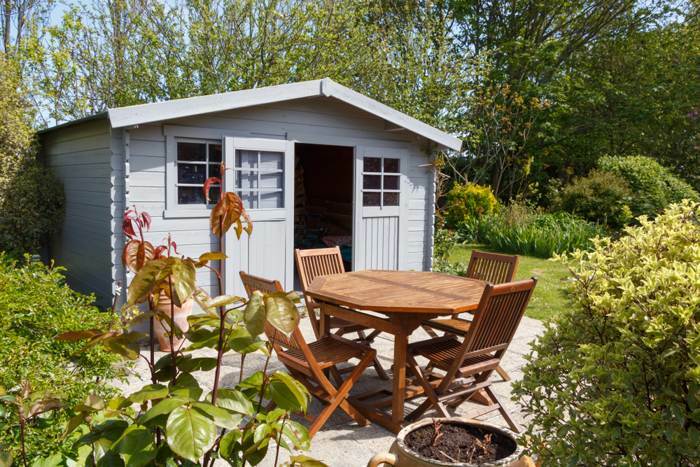 Which garden furniture involves no maintenance? 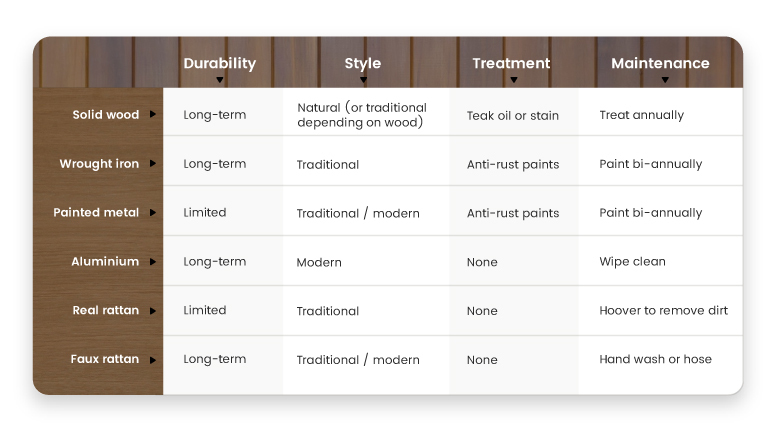 From solid and sturdy wood furniture, to low maintenance and inexpensive rattan, here are some of the different materials and how you can decipher which is ‘The One’ for you. It goes without saying, despite wood being one of the most expensive materials on the market, it is often considered one of the best. Some hardwoods aren’t suitable for garden furniture, such as eucalyptus, pine and cedar to name a few. On the other hand, teak and acacia hardwoods are seemingly the most popular – as teak, for instance, contains oil that prevents water damage, meaning it can be left outside in adverse weather conditions without the threat of breakage. Although teak requires little to no garden furniture maintenance, it is still a good idea to treat your teak table and chairs annually. You can use teak oil to create a natural-looking finish, or a stain that gives off a richer tone, but both work for a long period of time. Although, more often than not, it is all about the quality of construction. Each piece of wood has different tolerances, which means that if the joints don’t match, they will inevitably end up cracking and breaking once weight is placed on it. Therefore, when purchasing wooden furniture – or any furniture for that matter – it is important to look at the way furniture is crafted, to see whether it is high-quality or prone to deteriorating quickly and breaking. Rattan garden furniture is lightweight and easy to move, but unfortunately it can be prone to damage. If not cared for properly, when exposed to the Great British elements, the wicker can easily split, which makes it one of the less popular options for those looking for no maintenance outdoor furniture. On the other hand, fake rattan garden furniture is considerably more durable in all weather conditions from rain to harsh UV-rays. They also require less maintenance work – simple a wash down using a hose regularly will do to get rid of all dirt in the furniture’s crevices. 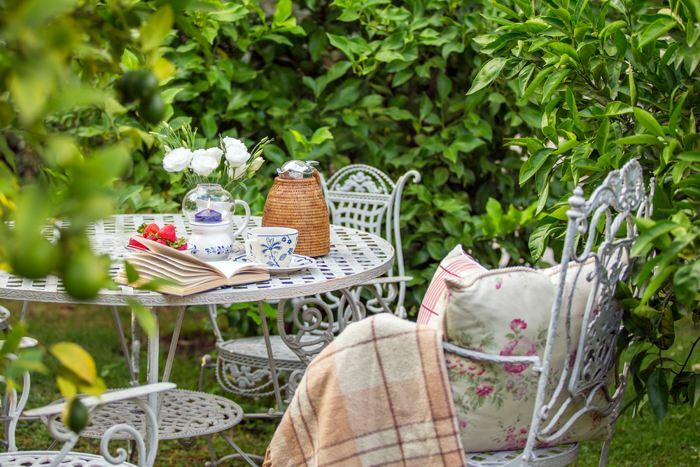 Often, metal garden furniture is made from cast iron or painted steel or aluminium, which is a popular option for those with an eye for traditional design, as ideally, your garden furniture should blend in with the style and age of your property. Aluminium garden furniture has become increasingly popular over recent years due to its more modern look and the fact that as garden furniture it requires little maintenance work. In spite of this, it is worth mentioning that it can easily be bent or dented, which is very impractical when entertaining guests. However, metals – especially iron – can be prone to rust so it is important to ensure you treat it twice a year with an anti-rust agent, or paint. Other than this, your garden furniture should require no maintenance the rest of the year. Whilst no maintenance garden furniture sets can be safely left to the elements all year round, under the skies of the unpredictable British weather, it is worth taking precautions anyway. 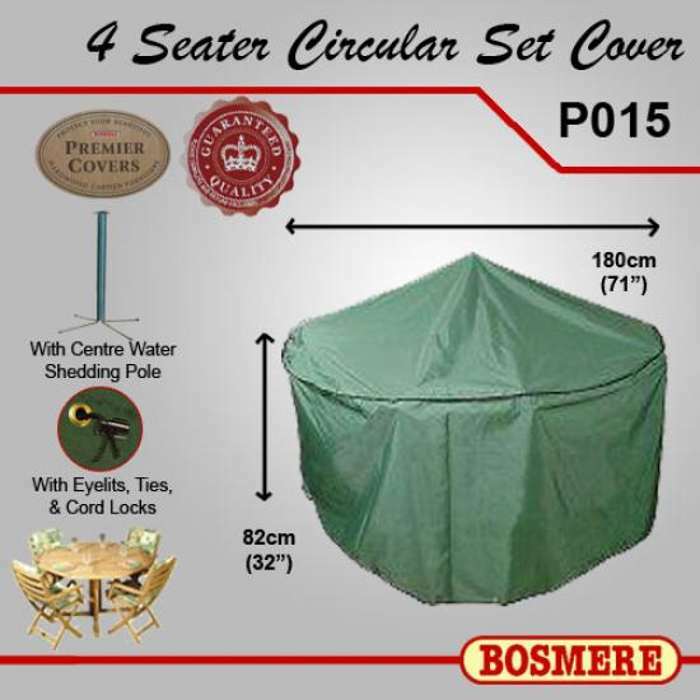 If your garden furniture is too heavy to move or simply won’t fit into your shed or garage space – which is often the case – it is advisable to take care of your garden furniture by covering it with a waterproof sheet. Waterproof sheets not only help to prevent exposing your garden furniture from rain, but also harsh UV-rays, wind, dirt and dust damage throughout the year when not in use. By taking time to do this, it can help to increase your furniture’s life tenfold, and ensure it looks as good as new even five years down the line.